This card is a result of what I learned in Online Card Classes' Summer Card Camp 2 class. I used the color scheme and sketch from the Week 2, Day 1 class to come up with this card. 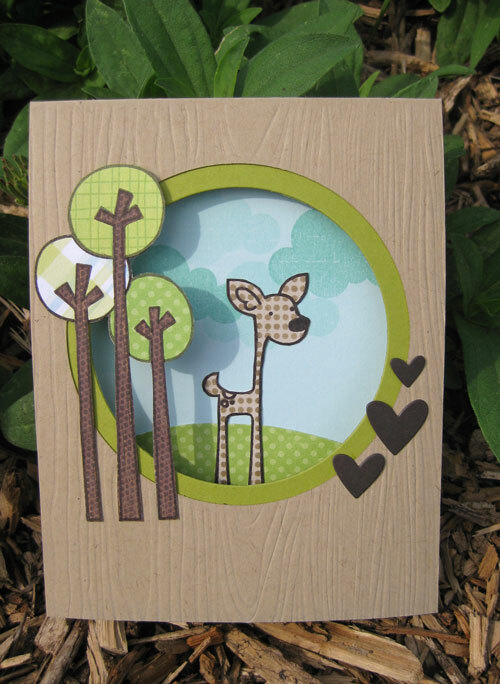 The paper pieced stamps (deer and trees) are from Paper Smooches. I love their adorable stamps. Thanks Angela. If I made it again, I wouldn't make his polka dots as dark.